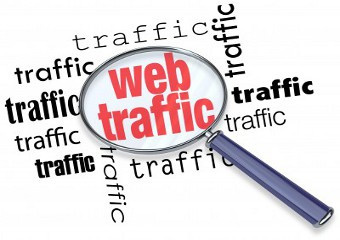 You know how all of those so-called "marketing experts" are telling you that they know the ONE guaranteed way for you to increase traffic or generate more leads and conversions online? Or do you ever feel like you can't keep up with the latest industry terms and "sure-fire tactics" that everyone insists are the ONLY way to go to increase traffic, leads and conversions? It's enough to make your head spin sometimes. Here at Flair, we don't offer a cookie-cutter or one-size-fits-all approach and we don't rely on one approach for our own internal marketing efforts either. However, we do carefully track what we're doing to determine which tactics, campaigns and content work best for our own particular audience and business, just as we do with our clients. That's why some metrics from a marketing campaign that we did this week really caught our attention. Yesterday (Thursday, June 1 2017), we published a blog post with an infographic titled "5 quick ways to improve your SEO and rankings" at 2:09 p.m. We then shared it on all of our social media channels and boosted the post for $63 (a max of $9 per day for 7 days), choosing to show it to people who fit our target audience for that particular service (owners and managers at small businesses within the U.S., Canada, the United Kingdom and India). 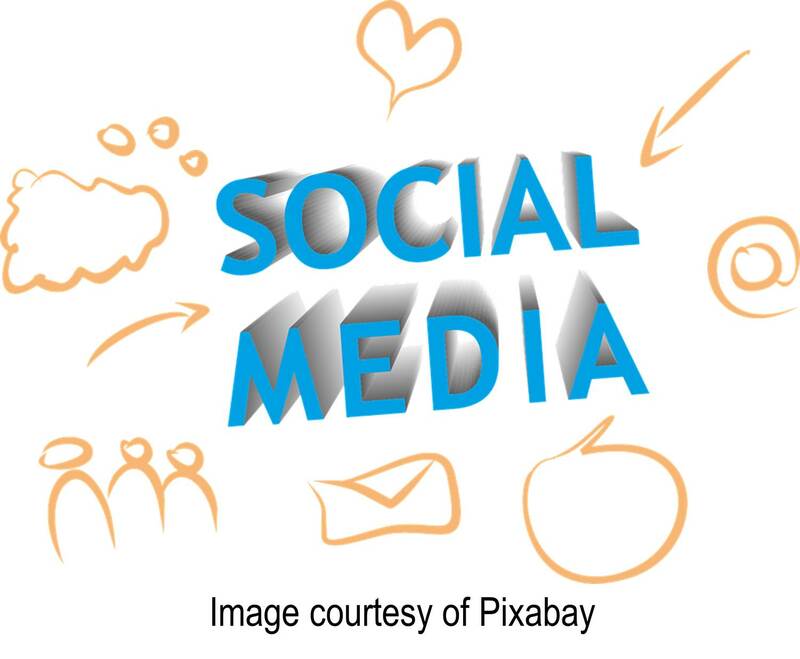 There’s no doubt that social media has become an indispensable tool for business. 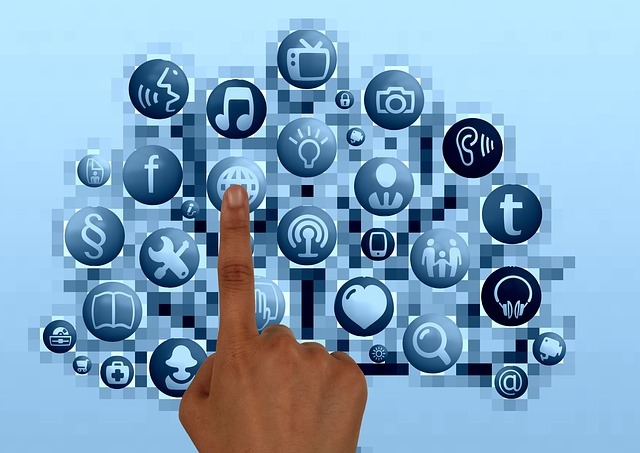 With the continuing evolution of social platforms and technologies, it’s critical to be equipped with the right social media approaches to meet your goals. Are you trying to nurture leads through Facebook ad campaigns? This Kissmetrics blog post describes the tweaks that you should implement while running your ad campaigns. Follow these tips to improve your ad campaigns. Another great post related to Facebook ads is published by Social Media Examiner. This article explains how three Facebook custom audience segments can be built and analyzed. If your business is looking to connect with more of a local customer base, then the specific targeting capabilities of Facebook ads should definitely be a part of your overall marketing strategy. Facebook ads are a great way to reach local consumers in your area in a quick, easy and cost-effective manner. Their ability to target ads directly to consumers based on specified location is absolutely invaluable. I get dozens of phone calls, emails and requests each week from people who are absolutely overwhelmed with the thought of writing content for their social media channels and other marketing campaigns. Most modern-day marketers know that social media is important and they know that they should be posting content regularly, but the thought of cranking out content on a consistent basis is terrifying. 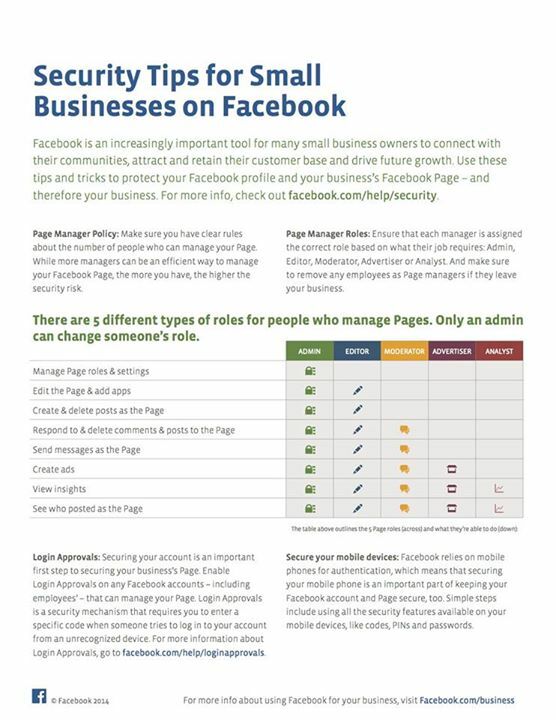 Continuing its National Cyber Security Awareness Month campaign, the Facebook security team released an infographic with tips about managing roles and securing logins and mobile devices. How'd you like a reminder to update your business' Facebook page? Facebook recently launched a new "Your Pages" module at the top of many page administrators’ feeds. The new module is located in the upper-right hand corner of admins’ timelines. It shows a snapshot of how well a page is doing, showing rolling weekly figures for new page likes and average post reach. Facebook recently launched cross-device reporting for Facebook ads, enabling advertisers to see for the first time how people are moving between devices—across mobile apps and the web—before they convert. Cross-device conversions are becoming increasingly common as people move between their phones, tablets and desktop computers to interact with businesses. Facebook announced the testing of a new feature to help businesses drive sales, through Facebook, in their News Feed and on Pages. 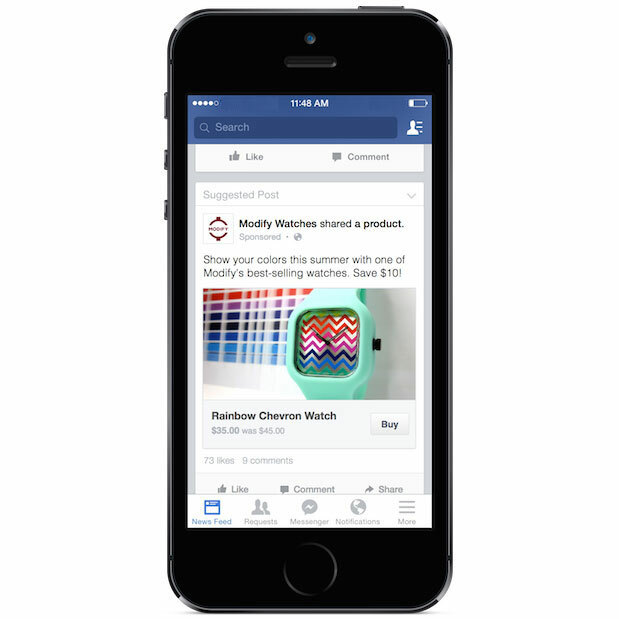 With this feature, people on desktop or mobile can click the “Buy” call-to-action button on ads and Page posts to purchase a product directly from a business, without leaving Facebook. 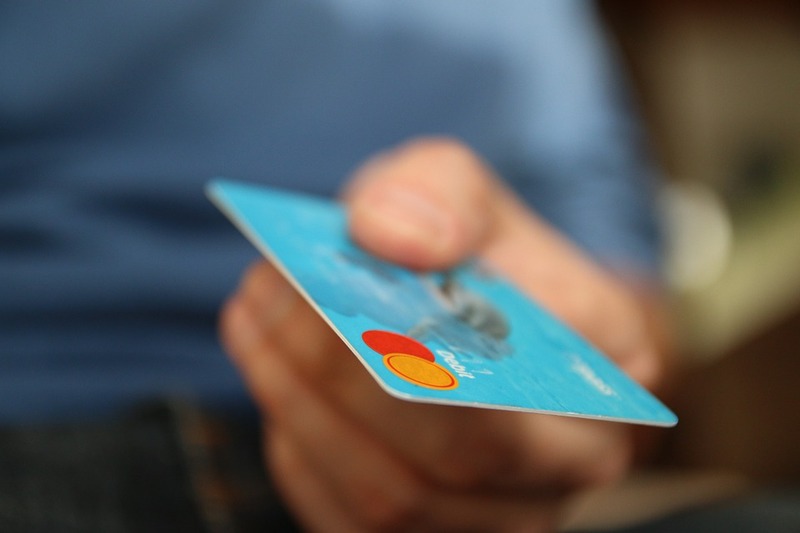 Rather than having to click through to a merchant’s website, users can enter credit card info directly into Facebook or use a card on file to complete the checkout flow in-line.